My husband needed tires for his cargo van and called around town to get pricing. Deciding on Sears Auto Center, he arrived at the crack of dawn, to be first in line to get the job done. The price quoted on the phone turned out to be incorrect. What a surprise! (Yes, I’m being sarcastic.) It was for another type of van (passenger not cargo). Suddenly the price per tire jumped $30. This did not go over well with my husband, who had done the proper research before making his decision. There was no problem getting Sears Auto Center to honor the lower price because my husband (the most organized man on this planet) had written down all the information including the name of the employee who had quoted the price. Which brings me to a very important point… Whenever you get quotes on the phone, write everything down including the day and time of your call. You can never have too much information. Unlike email interaction, there is no paper trail so it is important to be as detailed as possible. If you run into a problem, ask for a manager and insist that they honor the quoted price. If the store refuses, take your business elsewhere. There are too many fish in the sea! 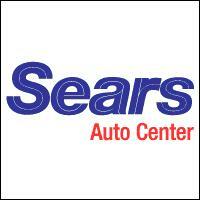 In my husband’s situation, he was very satisfied with the customer service at Sear’s Auto Center and would do business with them again. I’m sure with the state of the economy, that’s music to their ears!